Connects users,delivery persons and restaurant admin under one platform. 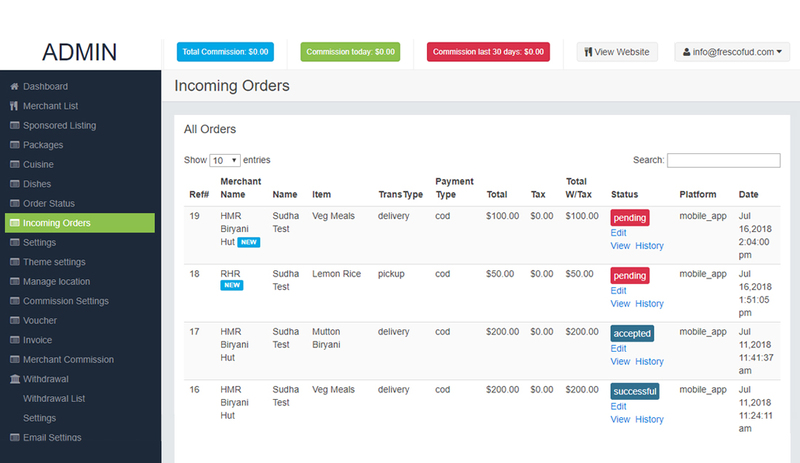 Allows owners to track the request and delivery status. Sign up for 15 days trail. 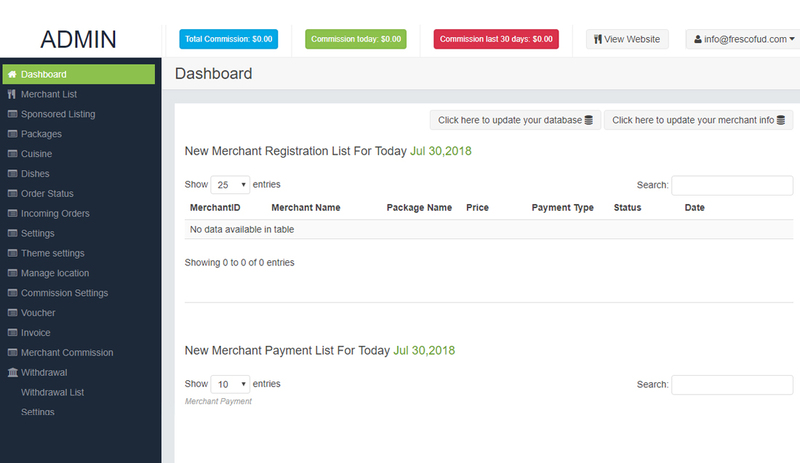 This feature allows the admin to manage various settings related to website, Table booking, delivery options, receipt options, orders, theme settings etc..
We uses the more secure payment approach to send money, make an online payment, receive money or set up a merchant account. This allows the admin to update the database system and merchant info. It helps to manage registration list, payment list and order list. 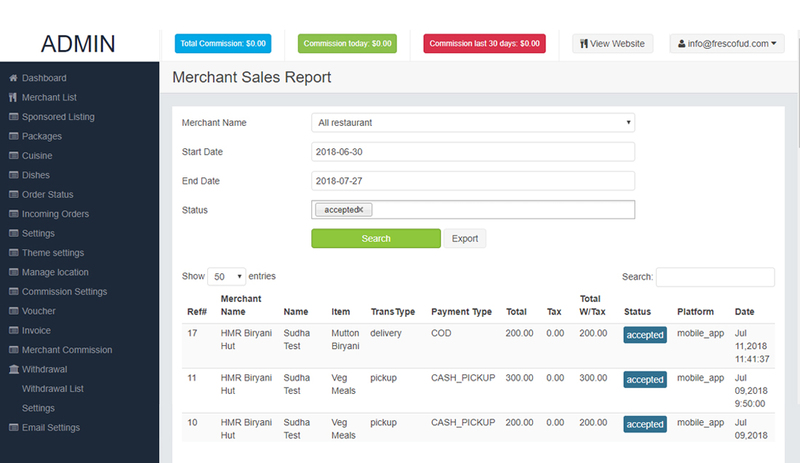 Merchant can be added in terms of various package. Merchant package can be either of limited, unlimed, free, paid etc..
Service location can be managed by the admin. He can restrict the service to limited surroundings with respect to country/region/state/city or in custom way. With respect to the location preference, the system currency can also be managed by the admin. Admin is allowed to translate the content of website and app. Admin is allowed to enable or disable SMS feature based on the merchant type. He can also restrict the SMS delivery based on status of the account. 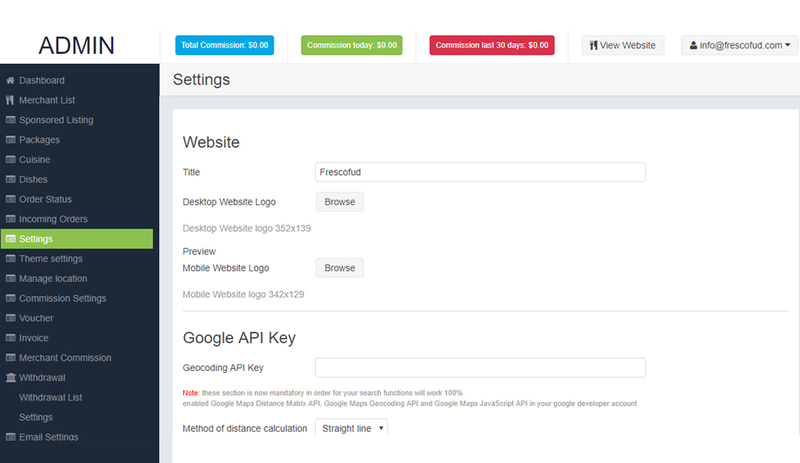 This allows admin to change the title, description and keywords for web pages. This makes the admin to manage the SMTP and other email settings. On demand 24 x 7 support on cloud hosting infrastructure. ITIL lifecycle management on hosting environment. Depends on the third-party service-level agreement. We do help in coordinating with third party service providers. We develop apps with customer experience and satisfaction in mind as well as unique features. So that users can navigate around the web and mobile app easier and faster. 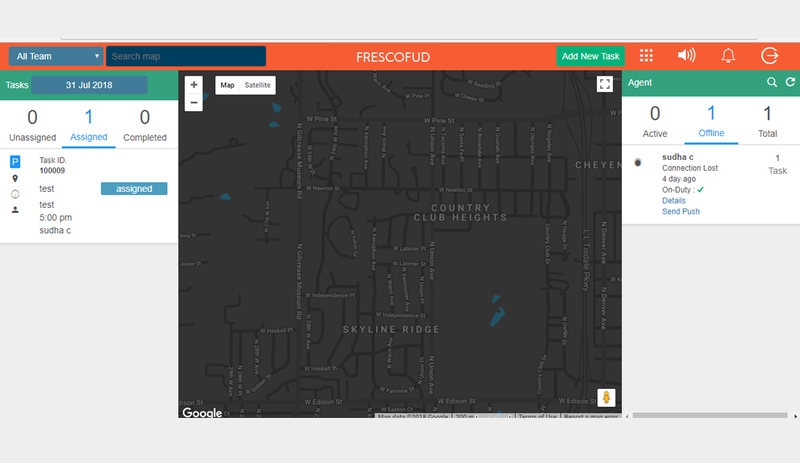 It’s time to start your business with FrescoFud.